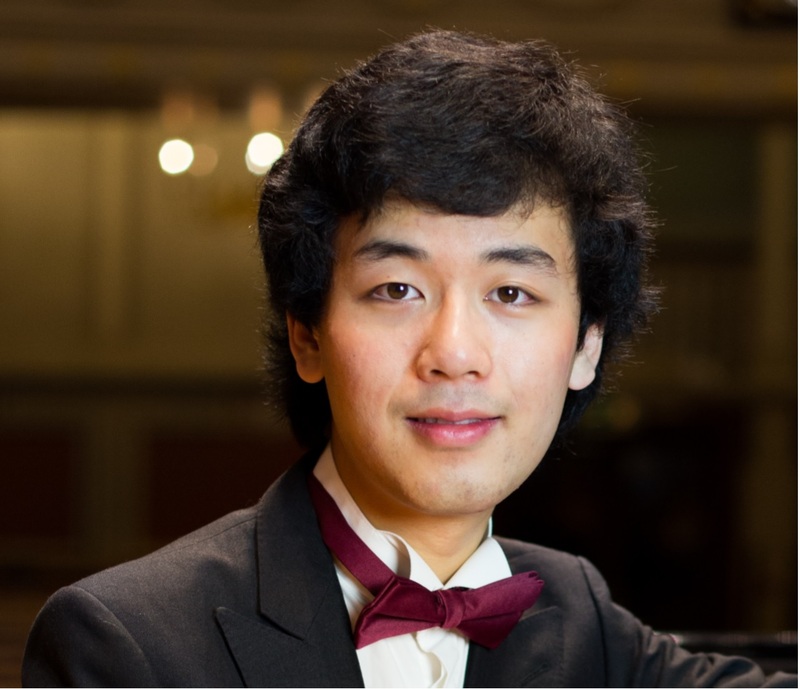 Yuanfan Yang (GBR) wins the XXVIII Roma International Piano Competition - Concorso Pianistico Internazionale "Roma"
Born in Edinburgh, Yuanfan began learning the piano when he was 6 and achieved a Diploma of the Associated Board of the Royal Schools of Music (DipABRSM) when he was 10. Yuanfan has won numerous piano competitions including 1st Prizes at Cleveland International Young Artists Piano Competition in the USA in 2015, the 4th International Franz Liszt Piano Competition, and the UK Liszt Society International Prize 2015. He was the Keyboard Winner and a Grand Finalist of BBC Young Musician 2012. His “Fantasy in G” for piano was broadcasted on BBC Two in 2007 and 2008. His composition “Waves” won the Overall Award in the EPTA UK Composition Competition 2011. His Piano Concerto – “The Wilderness” was premiered in Qianjiang, China in 2014, and later performed in Manchester, London and, Paris. In 2017, this concerto won the China National Arts Fund, which has supported its tour of four performances in Northeast in China in June 2018, accompanied by the Symphony Orchestra of China National Opera and Dance Drama Theatre. Born in 1985 and living in Austria, he is the 1st Prize winner of the 2014 Marciano International Piano Competition, and she also received the Best Interpretation Prize of Chopin. In addition, she has won awards in numerous national and international piano competitions, such as 2nd prizes at the Bösendorfer (2007) the Delia Steinberg (2013) and at the Premio Jaén (2016). Since 2014, she has been studying at the University of Music, Drama, and Media in Hannover with Professor Matti Raekallio and is currently pursuing her Solo Performance Course with Professor Olivier Gardon. Her studies in Vienna has been supported by by the Herbert von Karajan, Bösendorfer, Vienna Beethoven Society and Cziffra Foundation’s Scholarships. She has performed the Gala concert of the “Gradus ad Parnassum” Competiton in Vienna Konzerthaus Großer Saal and played Chopin Piano Concerto No. 1, Op.11 with Tonkünstler-Orchestra. Her performance was radio-broadcasted. She has also performed with orchestras such as Bruckner in Linz, Slovak Philharmonic, Bucheon Philharmonic, Webern Sinfonietta and Lutosławski. Soo Jin has been travelling around the world for prestigious concert institutions, playing solo recitals, performing chamber music and excelled as a soloist with orchestras. Described as ‘the golden fingers’ by BBC radio 3 presenter Sean Rafferty, Gen is a Chinese pianist who came to London to study at the Purcell School of Music at an early age. He studied with Ian Jones and Ruth Nye at the Royal College of Music, where he graduated with a First Class Honours Bachelor’s Degree. He then continued his studies with Deniz Gelenbe at Trinity Laban Conservatoire of Music and Dance, where he received his Master Degree, Artist Diploma and Fellowship of Trinity College London. Gen has appeared as a soloist at venues including Wigmore Hall, Cadogan Hall, the Purcell Room in London, Grand Hall of Casa da Música in Portugal, Fazioli Concert Hall in Italy, Beijing Concert Hall and Hong Kong Cultural Centre in China. Recently he performed in BBC Live Broadcast in St. John Smith Square. He has also performed piano concertos with Orchestras such as Portuguese Philharmonic and London Young Musicians, London Barnet, Trinity Laban and Eastbourne Symphony Orchestras. He has won several 1st Prizes, such as Samuel and Brant International Competitions, Trinity Laban and Eastbourne Soloists’ Competitions.